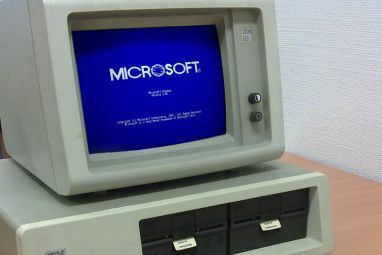 Did you grow up in the 90s Relive the Web of the 1990s by Visiting These 9 Old Websites Relive the Web of the 1990s by Visiting These 9 Old Websites These nine websites were cutting edge back in the day. They came before the advent of super-slick graphics and Web 2.0, but today serve as nostalgic reminders of how far web development has come. Read More ? If so, then you probably remember those Tamagotchi virtual pet toys from Bandai that debuted in 1996 for Japan and 1997 for the rest of the world. Well, they’re back just in time for their 20th anniversary. Read on to find out how you can enjoy training a virtual pet with no internet connection required 20 Best Offline Games on Android That Don't Need Internet 20 Best Offline Games on Android That Don't Need Internet These best offline games for Android are from all genres, including strategy, puzzle, racing, and more. No internet required. Read More , and the best tips for keeping your Tama healthy. How Do I Get a Tamagotchi? Bandai has brought back the original Japanese Tamagotchi toys, just like the ones you remember from your childhood Remember Those Computer Games from School? Play Them Now for Free Remember Those Computer Games from School? 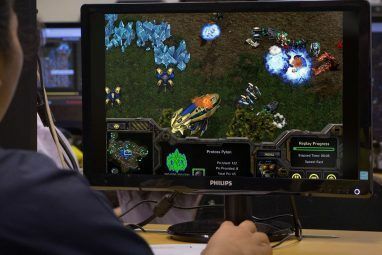 Play Them Now for Free Relive your computer class free periods with these classic PC games available online for free. Read More . Unfortunately, these re-releases are only available in Japan right now, though you can try buying one from Amazon Japan. The retail price for the new Tamagotchi in Japan is 1,500¥ (about $13.55). On Amazon Japan, as of this writing, it’s going for 2,258¥ (about $20). If you don’t feel like going through the trouble of nabbing an imported Japanese unit, you can try the newer Tamagotchi Friends toy, though they cost $25. The cheapest route is to download Tamagotchi Classic – The Original Tamagotchi Game on the App Store or Google Play for just $1. Plus, the game won’t take up much space Low Storage Space? 10 Mobile Games Under 50 Megabytes Low Storage Space? 10 Mobile Games Under 50 Megabytes Got a craving for mobile gaming but don't have much space on your phone? Here are ten awesome titles that take up under 50 MB each. Read More on your phone. 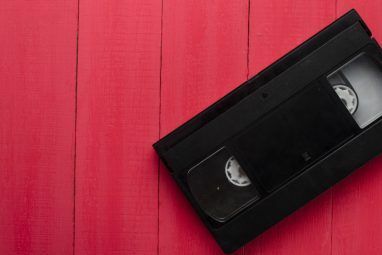 Regardless of how you choose to get your geeky nostalgia fix 10 Incredibly Geeky Things You Could Be Doing Right Now 10 Incredibly Geeky Things You Could Be Doing Right Now Today, we're applauding geeks who have surpassed the achievements of us ordinary, run-of-the-mill geeks, journeying to the geeky underworld and living to tell the tale. Bow down to your geek superiors. Read More , your Tamagotchi can be a fickle beast when it comes to care. After all, a Tamagotchi is a virtual pet that you must tend to, like a real pet How to Track Your Pets Using iOS or Android How to Track Your Pets Using iOS or Android For many, a pet is an integral part of the family. When they go missing, lives are disrupted. Pet trackers make finding man’s best friend easy and carefree. Read More . We’ve rounded up some of the best tips to help you keep your Tama alive. Before you start up your Tamagotchi toy or app, think about the current time. This is important because the time you hatch your egg determines your Tama’s bedtime each night. For example, with my Tamagotchi Classic app, I chose to launch it and start around 10 PM, so my Tama ends up asleep around that time on a daily basis. By the time I wake up, my pet usually is too so I can tend to it. Why is the bedtime such a big deal? Because when your pet is asleep, you’ll want to make sure to turn off the lights — otherwise it ends up grumpy. Later generations of Tamagotchi would fix this by turning the lights off automatically. You also can’t interact with it while it’s sleeping, so that means no meals, snacks, mini-games, or even cleaning up their poop. And when you’re not able to clean up their waste, they can get sick and unhappy, which you don’t want. So before you begin with Tamagotchi, make sure you note what time it is. It sets up the schedule for when you’re able to care for them, and when you can’t do much. This may go without saying, but the most important way to keep your Tama alive is to check it regularly throughout the day. Since each pet on a Tamagotchi starts off as a baby hatched from an egg, they need constant attention. This is no different from a real baby, human or otherwise. Of course, we aren’t saying that you must watch your Tamagotchi 24/7, but frequently enough throughout the day to make sure everything is okay. Just check in every hour or so to see if your virtual pet’s hungry, needs to use the bathroom, or feels sick. If all is well, you can play with it for a little bit. If it’s urgent, your Tamagotchi toy or app will notify you when your Tama needs your attention. When this happens, it’s better to tend to it sooner rather than later if you care about it staying alive. When a Tama’s hungry, you’ll want to feed it. With Tamagotchi, you have two options for food: a meal (a loaf of bread) or a snack (something sweet, like candy). Meals are vital and should be your go-to option when Tama’s hungry, as indicated by the Hungry Hearts in the status screen (Scale button). When you feed a meal to your pet, it fills up one heart, and your Tama gains one pound. Tamas will not eat a meal if they’re full. Meals are never optional. Snacks work a bit differently. Unlike meals, it’s possible to raise a Tama and never give it any snacks. Snacks are more for raising your pet’s happiness levels, as indicated by their Happy Hearts, but they’ll also fill up Hungry Hearts too. Tamas also gain a pound from eating snacks. And like they say, there’s always too much of a good thing. While the Tamas will always eat a snack, that doesn’t mean you should feed them too many. If you do, the Tama ends up with a toothache and gets sick, which requires you to give it medicine. Remember, meals are what you should always give Tama if it’s hungry. Snacks work better for raising their happiness levels if necessary, but both make them gain weight. When the Tama is full, they will not eat any more meals. Snacks make Tama happy, but too many make it sick. One more thing to note about food: what your Tama consumes will eventually come out as poop. As mentioned in the previous section, what goes in your Tama must eventually come out. And much like a real pet, you’re going to have to clean up after it, or else Tama gets sick. Usually, Tamas will poop about an hour after you feed them. Again, check frequently throughout the day to see if your pet has made a mess and just tap on the Duck button to clean it up. If you’re keeping an eye on your Tama, watch it carefully. When a Tama needs to use the bathroom, it will show some signs of discomfort or wiggling on the screen beforehand. The faster you clean up after Tama uses the bathroom, the better. Otherwise, the waste will fester and your pet can gets sick. No one wants that, right? Your Tama is a virtual pet, and like a real one, it will get sick with improper care. Illness falls on them in two ways: toothaches from too many sweet snacks, or letting their waste sit out for too long. It is easy to tell when your Tama is sick because there’s a large skull icon on the screen, and your pet looks awful. When this happens, make sure to hit that Syringe button to administer a dose of medication to your pet. One press of the button should be enough to restore your Tama back to its normal self again. It’s normal for Tamas to get sick every now and then. But you should be diligent in taking care of them quickly. The longer you put off healing your Tama, the bigger chance you take of it dying and then you’ll have to start all over again. While Tamas are virtual pets, they’re still living organisms in digital form. Your Tama grows as a human baby would, going through different stages: baby, toddler, teenager, and adult. As they grow, Tamas require discipline, which comes in as positive (Praise) or negative (Punish). When your pet is sad and crying or has its back turned to you, give it praise to cheer it up. If Tama calls for you and wants attention when it doesn’t need it or is misbehaving, then punish it. Either way, your Tama’s discipline levels go up. When their discipline levels get higher, that means they’re better trained and less likely to run away. As you raise your Tama, happiness is a crucial factor for keeping them alive and healthy, as well as preventing them from running away. Fortunately, keeping Tamas happy is pretty easy. As mentioned earlier, snacks are a good way to raise the happiness level of your pet while also keeping them full. But do be careful about overdoing it — toothaches are a real problem with Tamas. Another way to make them happy is to play mini-games with them. Depending on your model of Tamagotchi, the mini-games are different. For example, in the Tamagotchi Classic app, the only choice is Rock-Paper-Scissors. The toy version may have you guess numbers or directions in which the Tama will look. Regardless, if you can guess correctly, or have Tama win more rounds of Rock-Paper-Scissors than you, then it will be happy. If you fail to guess right or win too many times, it gets upset. But playing with Tama means you’re giving it attention, and thus it’ll be happy. Play mini-games often with them to keep their Happy Hearts full. What’s the payoff to all these efforts to keep your Tama alive? Well, eventually your Tama will reach adulthood, and at that point, it’ll find love too. When it discovers a suitable partner of the opposite gender, they’ll create a new egg for you to hatch, and the Tamagotchi cycle begins anew. One final bit to note is that there are different Tama creatures that can hatch from eggs. Their behaviors will vary, and the difficulty of care differs. Some are easier to take care of than others, and a few can be particularly volatile in temperament. Now that you know the best tricks to keeping your Tama pet alive, what are you waiting for? Go get a Japanese re-release Tamagotchi or download the Tamagotchi Classic app and get to it! Your adorable Tama is eager to meet you and needs your care. 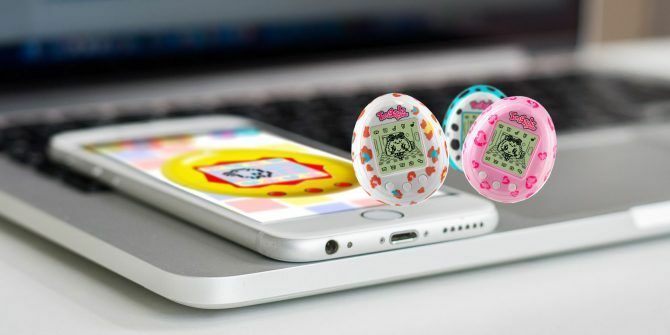 If Tamagotchi is too basic for you, check out these cool smartphone-controlled toys we’ve rounded up 8 Cool Smartphone-Controlled Toys You Secretly Desire! 8 Cool Smartphone-Controlled Toys You Secretly Desire! Who says toys are just for kids? As someone who grew up on remote-controlled cars, the prospect of a smartphone-controlled gadget is tantalizing to me even well into adulthood. And with the kind of cool... Read More . Did you have the original Tamagotchi toys back in the day? Which Tama was your favorite? Have any more tips or tricks to keeping these cute critters alive? Be sure to share them in the comments! Explore more about: Nostalgia, Pets, Virtual World.